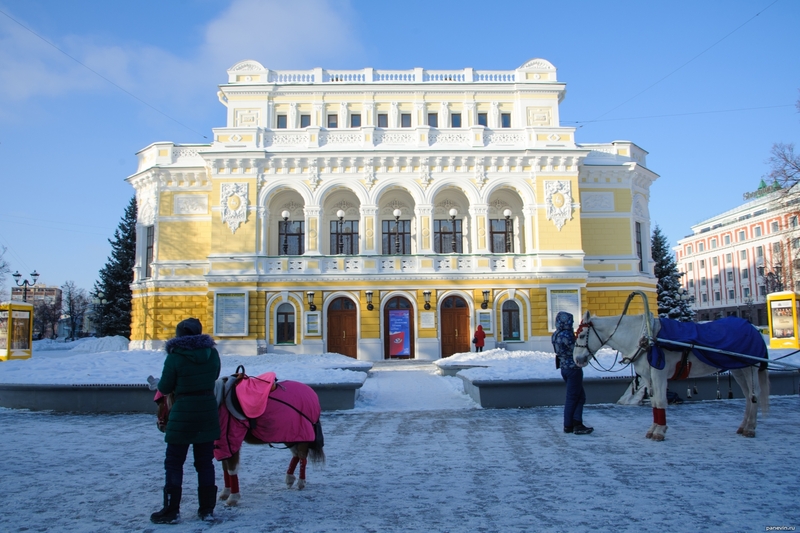 The building of Nizhny Novgorod Drama Theater, one of the oldest theaters in Russia. Built in 1896, designed by the architect of the imperial theaters V. A. Schröter. Blog, posts baroque, Nizhny Novgorod.